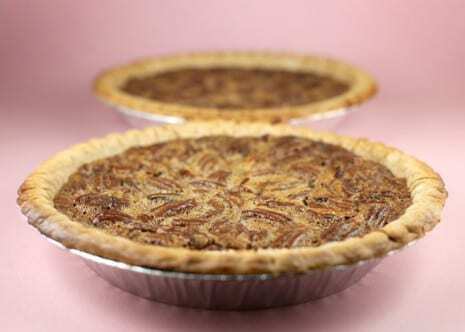 Check out this pecan brownie pie recipe on Bakerella. It's got a traditional pecan pie top and brownie (from a mix) on the bottom. Super easy and super duper delicious!